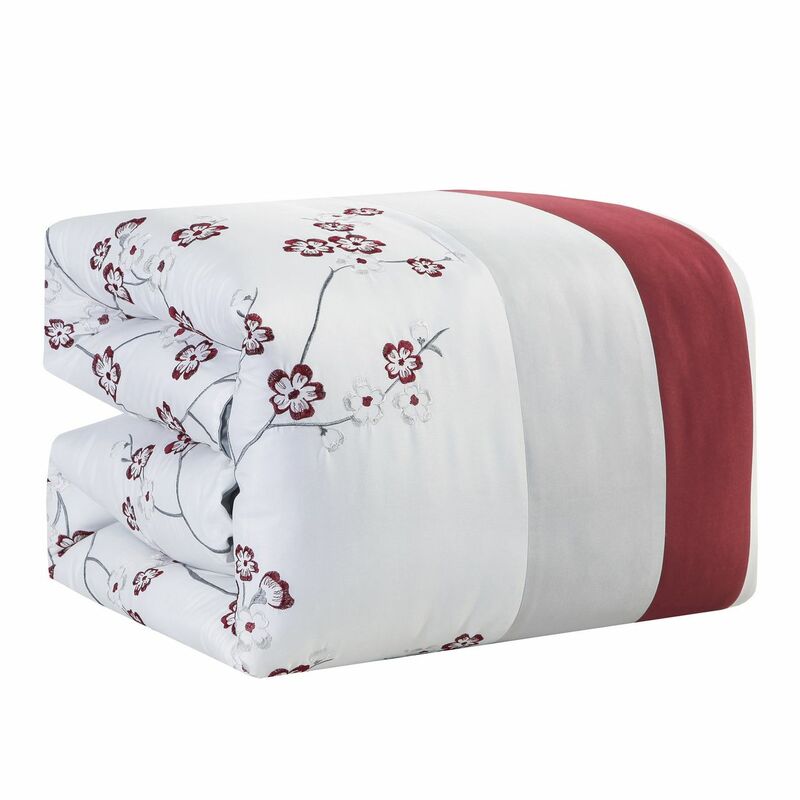 Breathe life into your bedroom with this Erroll comforter set. 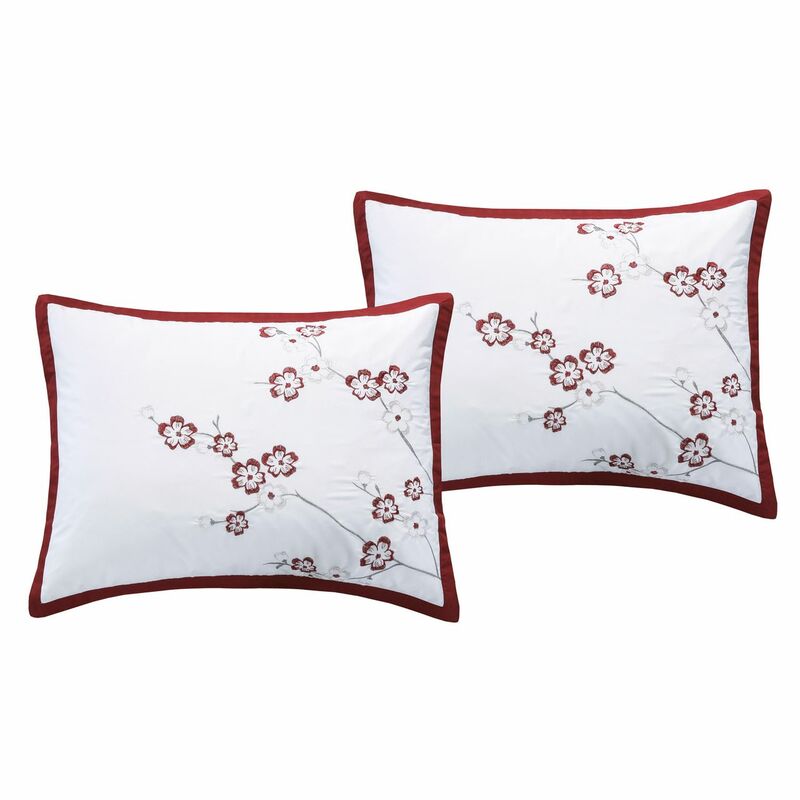 Featuring embroidered cherry blossom on soft microfiber with quilted boders, this lovely bedding set adds a tranquil look to your bedroom. 3 decorative pillows complete the set.